In today’s digital age, it’s relatively easy for anyone to write an article or record a video on starting your own consulting business. With some good editing or fancy production, this material can even be quite convincing. Ask yourself — how much of what you’re seeing is actionable? Do the people making this material have a demonstrable track record of success in consulting and working with organizations themselves? Or is their experience consumer-focused – selling only to other individuals or entrepreneurs? If you’re going to become a consultant and start a consulting business, it’s important that you know both the strategies, tactics and the mindset required to succeed in this business. 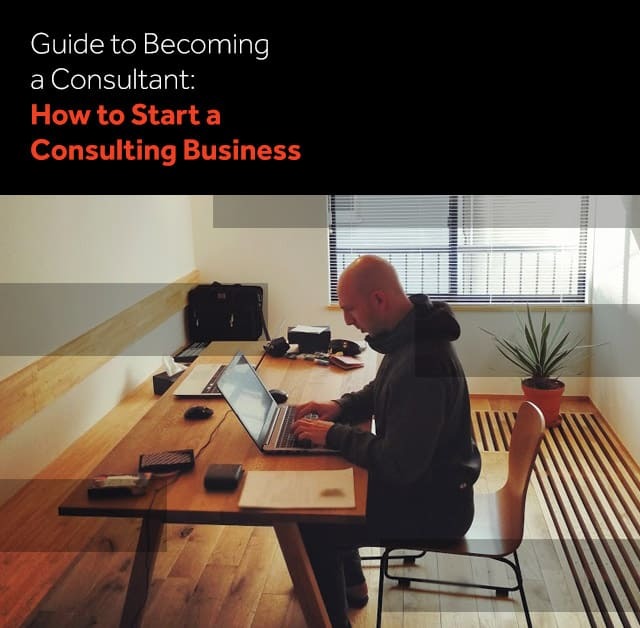 This article is the practical and proven guide to start a consulting business. And I hope you’ll find it helpful. 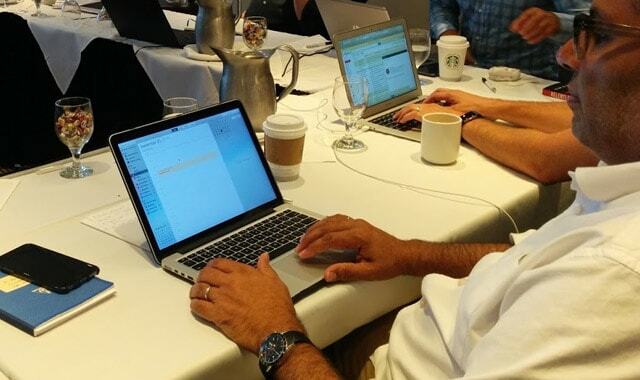 What it’s really like being a consultant, I’ll share from my experience of consulting with organizations for over 18 years and from coaching hundreds of consultants personally over the last decade. Most importantly, you’ll have an approach that elite consultants use to set up a successful consulting business. By following this process you’ll be able to reach and realize your full potential. The question is: are you going to follow through, take the actions that are required and be fully committed to reaching the success you desire? Being a consultant sounds like a lot of fun to the full-time employee. You get to choose your own hours. Be your own boss. Work with clients you love. Say “no” to any client or project you don’t want. These are all true. But all of these things come with a cost. Being an independent consultant means you’re a consulting business owner. That means you’re not going to get a steady paycheck from your employer — you’re going to go out and have to earn that yourself. It means no more waiting for projects to fall in your lap — you have to go out and win the business so you can provide and deploy your skills and expertise for your client on the project. Before you decide to start your consulting business, you have to decide if that’s what you really want. Do you really want to master marketing and sales in order to keep your business running? Can you see yourself creating, validating, and offering your own services? Are you willing to put yourself out there and step far outside your comfort zone? If you answered “no” to any of the above questions, you might not be serious or ready to start your own consulting business. And that’s OK. But if you want to run a thriving, profitable, and sustainable consulting practice, you’re going to have to start thinking like a consulting business owner. Not an employee or contractor. There’s an extremely low barrier to entry when you start a consulting business and choose to become a consultant. It’s never been easier to become a consultant and start a consulting business. And so many people are (often wrongfully) calling themselves consultants. And because of this, it means there are more options for clients to choose from and more ‘noise’ in the marketplace than ever before. The key to becoming a consultant is to do it the right way. It means being methodical, strategic, and doing the work that will put you in the best position to succeed. This is the work that will put you in a position to succeed. To realize your potential as a consulting business owner. It’s much harder than playing around with your business card designs or tweaking your website. But consultants who do this work are doing the work it takes to build a profitable consulting business. There are a few things you’ll need to take care of for setting up a professional consulting business. We’ve put together a simple checklist to help you start a consulting business and cover these 6 areas. You don’t need much equipment to start a consulting business, but you’ll need a few logistical things. Do You Need To Incorporate A Consulting Business? Not many new consulting businesses need to be incorporated, but you must consider it. Trying to do my own accounting was one of my biggest mistakes as a young consultant. Make sure you hire an accountant and set up your own bank account. The return on your investment in time saved and with regards to your taxes will be worth it. As a newfound consulting business owner, you want to know a lawyer or two in your phone who you can ask questions to. 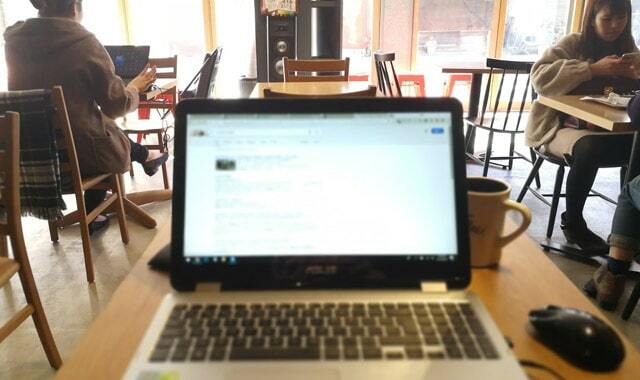 You don’t need a fancy office — but you do need a quiet space where you can do deep work. Now, let’s get into the fun stuff: finding your niche. No. It’s actually the opposite. If you’re serious about starting a consulting business and succeeding, you’re willing to adopt the responsibilities of a real business owner. That means offering a specific service or working with a specific type of client. Even better if you can do both. You cannot be the consultant who helps everybody (at least early on). Decision makers already have generalists. They’re called full-time employees. You’ll actually get the attention of your clients if you can clearly name what it is you do and specify the industry it is you serve. “I help business owners improve their business” is not an area of specialization. “I help dental practice owners implement CRM software” is an area of specialization, both in terms of the target market (dental practice owners) and the task performed (implement CRM software). Becoming a consultant begins with defining your area of specialization. When you start a consulting business, you’ll find it much easier to gain traction once you’ve done this step. How do you choose your area of specialization based on your work or employment history? Where have you developed your skills throughout your work career? What are you good at? You must be skilled at your craft to be a successful consultant. Start by looking at the skills you’ve developed. Where has your work resulted in tangible business results? What have you done where you can point to having earned a business more money, or cut costs? You’ll need to demonstrate why you’re worth the investment. What do you enjoy doing? What gets you up in the morning? Passion isn’t everything — but it will carry you through some of the rough days common to the early-stage consultant. And because you’ll be spending time creating content, writing, speaking and working on projects related to your area of expertise – you better enjoy it. What do your clients actually want? What are decision makers willing to sign the check for? Don’t make the mistake of offering a service that nobody will pay you for. Go through each of these with a fine-toothed comb. Choosing your area of specialization should be something you declare with pride. It should be bold and public. It’s the first step to become a consultant and truly starting your consulting business off the right way. The inexperienced consultant may be incredibly smart and skilled. 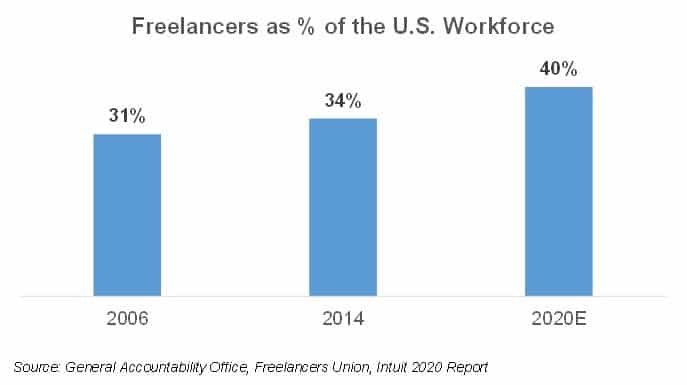 But they’ll forget to validate whether or not clients are willing to pay for their expertise and their skills. Before you really go all in on marketing and sales, you must go all in on researching and validating demand for what it is you’re offering. What you think your clients want might not actually be what they want. You may think you have the greatest offering in the world…but if real business owners aren’t willing to spend their hard earned money for your offering, your consulting business will be doomed. I’ve made this mistake early on in my career. Spending tens of thousands of dollars building out a product that nobody really wanted. I did not validate demand. How do you validate whether demand exists or not? How do you figure out the problem the market wants to solve? This is where the fun begins: you have to pick up the phone and talk to potential clients. It’s only by talking with real ideal clients that you’ll discover whether or not demand exists for your product or service. Let’s say you’re a CRM consultant. Your favorite client was a pharmaceuticals company. They had a healthy budget, an interesting project, and the outcome was a success. You’d like to duplicate that success, so you identify pharmaceuticals as a potential industry for specialization. The fact that you’ve had one successful project with this industry is evidence that it could work. But you must talk to more people in the industry to learn whether or not demand for CRM consulting is the rule — not the exception. At this stage, you want to reach out to employers, clients, professional groups — anyone in your network connected to the pharmaceuticals whom you could talk to learn more about their desires, frustrations, and areas of uncertainty. Ask them for 5-10 minutes of their time for a call to ask them 2-3 questions. Take note of what they’re saying. Encourage them to share their experience. You’ll be amazed what kind of insights you’ll gain by listening closely. Do this with 5-10+ people in the industry you’re targeting and you’ll learn a lot about whether there is a real demand for your services. What Do Your Consulting Services Really Achieve? And remember — no business needs a complex, feature-rich CRM. What they want is to spend less time managing their customer database. They want less stress. They want more time. When you’re talking to past, current, and potential clients, you want to discover the problem it is that they want to solve. Businesses pay consultants to come in and solve problems. Continue to ask “why” after every question to get to the root of the problem. Here is where you’ll truly discover what it is your market is seeking. Uncover what these problems are, and then figure out how you, the consultant, can use your expertise to solve the problem. This is the profile of the client who’d be the perfect fit for your services. There are hundreds of different variables you could include for this profile. We’ve nailed it down to 5 that are most important for consultants. These are the client characteristics that consultants must know about their ideal clients. When you’ve nailed down these client characteristics, it will be much easier for you to write messaging that appeals to this type of client — as well as build a list of ideal clients to reach out to. It’s much easier to build a list of ideal clients when you know you’re going after the C-Suite at Pharmaceutical companies with around 300 employees. Once you’ve defined your ideal client, you can start focusing your messaging in order to attract them. You can test all of your messaging against your ideal client profile. Does it speak to them in particular? Does it resonate with them? Your ideal client profile helps you figure out whether or not your marketing is focused. In the Clarity Coaching Program we help our clients develop Magnetic Messaging that attracts ideal clients to you. This makes the marketing process much easier. The best magnetic messaging encourages your ideal clients to reach out to you to learn more about what you offer. Let’s say your ideal client is Thomas Hermann, CEO of a credit union. Thomas is worried that his credit union is falling behind his competitors in digital. “I help businesses improve their business” is poor messaging that won’t attract Thomas’ attention. “I help credit unions transform their digital environment so that they can attract and retain more members” will certainly get his attention. It addresses him (credit unions) and what’s on his mind (using digital to impact his bottom line). 0 out of 10 decision makers at a credit union would even think twice about the former messaging. But any of them would be foolish not at least consider the latter. And that’s the entire point of magnetic messaging: to get your ideal clients interested in learning more. That’s it. It’s not a sales pitch – it’s an attention grabber. Consulting projects can be complex. You have to work on figuring out the financial upside and what to charge the client so you both gain value from the project. There are a lot of moving parts. And this means that pricing consulting projects and packaging them effectively can prove difficult for some. Avoid coming up with your service offerings at random. Your service offerings should be strategic. This is a low-risk, productized consulting offer. It’s a smaller investment (think $1.5K-$15K) that you can use to introduce your client, walk them through a predefined set of steps, and create a nice quick win for them. This offer is excellent for mitigating risk and building trust with your client so that they open up to a larger consulting engagement. This is your typical consulting project. It’s often a custom project in the sense that you first learn the problem your client is facing, and then come up with your plan to solve that problem — often presented in the form of a consulting proposal. This is your bread-and-butter project where you’ll earn significant revenue. With a custom consulting project, always offer 3 options. Clients hate to be sold — but they love to buy. When you offer 3 options, you can leverage the power of anchoring to help raise your fees. This is how you build recurring revenue into your business. Consulting retainers are on-going engagements with your clients, where they either pay you for your work on an ongoing basis — or better yet, access to you. Consulting retainers often require a certain amount of trust before you’re able to sell them, so you’d only offer them to clients for whom you’ve worked with either on a discovery or a full consulting project. When it comes to pricing your consulting retainers, you must always remember one thing: your client’s return on investment. You must always position your consulting offers in alignment with the financial upside of the project. If you are charging $25K for a consulting project, you want your project to generate at least $75K for your client, if not more. This is how you price based on value instead of time or inputs. 5X is a good rule of thumb. Aim to create 5X in value for your client, either in the form of revenue or cost reduction, and you’ll have a much more seamless experience in selling your consulting services. 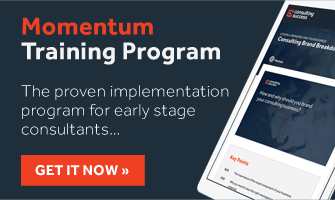 When you do this, you’ll also be avoiding the traps of hourly and daily billing – which surely can help you avoid traditional employment, but they are far from optimal for the consultant. Marketing — getting clients who have a need to know you, like you, and trust you — is what prepares your client for sales conversations. It’s also something that consultants struggle with most. If you haven’t heard this before, let me be the first to tell you: consulting is a marketing business. Consultants who succeed in their marketing succeed in their business. Consultants who fail in their marketing fail in their business. Think about it this way. You can be a great consultant. Skilled, knowledgeable, deep with expertise. But if you don’t have any clients to serve, you don’t have a business. Which is why as a consultant, you’ve got to be in the marketing business to be in the consulting business. There are many different ways to market your consulting business. The list goes on. And each of these tactics has a time and place in your consulting business. However, when you first start out, you want to focus on the 20% of tactics that will give you 80% of the results. This means finding the most direct path to conversations with your ideal clients. Your marketing system must make it easy for you to get in front of, and start, conversations with clients who are a good fit for your services. Blogging is not a direct path to conversations with ideal clients. That doesn’t mean it can’t be a good marketing strategy. But the consultant who is early-stage in their marketing process does not have the luxury of time to wait for blogging to start working. When you first start a consulting business, your marketing strategy must revolve around going to your clients instead of expecting them to come to you. One of the quickest and easiest ways to start conversations with your potential clients is by using LinkedIn. I don’t mean cold-outreach spamming a massive list of potential clients. Never do that. What I mean is to build a list of your ideal clients, connect with them, build rapport, add value to their lives. By doing so, you’ll find that many of them are open to a conversation where you can talk about their business and how you’d be able to help them reach their goals. Notice how all of this is focused on them — not you. Effective marketers and elite consultants know this. Their entire marketing, messaging and systems are always about the client. It’s not spammy or promotional. It’s built on the abundance mindset of adding value. And this is a mindset you must adopt if you want to succeed in your consulting business. If you want to realize your full potential, you must start thinking like a consulting business owner. As the expert, you have expertise that is valuable to your ideal clients. If they were to engage with you, their business (and personal) lives would improve. You are neither helping them or you by shying away from marketing. You owe it to your clients to get in front of them, add value to their lives, and eventually communicate to them the benefits for them and their business of working with you. Do not shy away from starting conversations with the people you’d like to work with. Make it all about them. And be confident that you are someone who always adds value — as a successful consultant does. Want To Start A Consulting Business Off The Right Way? Feeling a bit overwhelmed? I get it. There’s a lot to this article. If you’ve been excited about starting your own consulting business, you might even be feeling a little discouraged at this point. That’s OK. There’s a lot of work ahead of you. Now, you know how to start a consulting business the right way. You now have a guide that gives you the process of building a profitable consulting business. And if you’re still reading, taking notes, and not discouraged by the work ahead, then you’re serious about becoming a successful consultant. If you’d like our help to guide you through this process so you can avoid spinning your wheels and hoping that you’re going about it the right way, get in touch. We’ve helped over 300 consultants from all around the world in all different industries grow their consulting businesses and add six and seven figures to their annual revenues along the way. Ready to accelerate your success and realize your true potential as a consultant? Why are you interested to start a consulting business and becoming a consultant? What are the biggest challenges you’re facing right now in getting your business off the ground? Let us know and join the discussion in the comments below. And if you enjoyed this guide, please take a minute right now to share it with others through social media! Great article Mr Michael, truly to establish a successful consulting business requires strategy, tactics and a proven mindset. I have been fortunate to be part of your mailing list, following your blog post and listening to your podcast for quite some time and it has truly helped me. Thank you so much for what you do. I will like to ask, how do one create a discovery offer? Is creating a discovery offer possible for all consulting practices? Really enjoying all of your articles and podcast. So helpful in getting my consulting business off the ground. Thank you Michael. Appreciate the comment Janice and glad to hear you’ve found the resources here helpful. Wish you great success! This is super helpful. Did you really have a consulting practice for 18 years? Hi Andrea, glad you found it helpful. I’ve been consulting and building consulting businesses for going on 19 years and have been working with consultants to help them grow their businesses for the last 10 years. Wish you great success with yours. This is very nice information. Thanks for sharing this informative information. You are very welcome glad it’s helpful.